That’s so funny James good job that’s teriffic. Why is your reply all the way down here? Enjoy the poems about my mom and dad. My noteworthy person is Markus Persson. Thats so funny dylan dragon wagon its like the dragon want in a wagon and went down the road! What i meant was it was funny. The noteworthy person I would like to feature is Martin Luther King. Sometimes it can educate the reader. The celebrity I am going to feature in my poem Tony Stark. Had a friend named Mark. They fought the world together. In the freezing cold weather. I think clerihew poems are about evoking a mood. Who is tony stark i have heard of him but i don’t know what he does or who he is? Tony Stark is the guy in iron man he builds suits and fights with them. Sam I like the part were you said while swimming in the pool. It makes my stomach loop. 2. 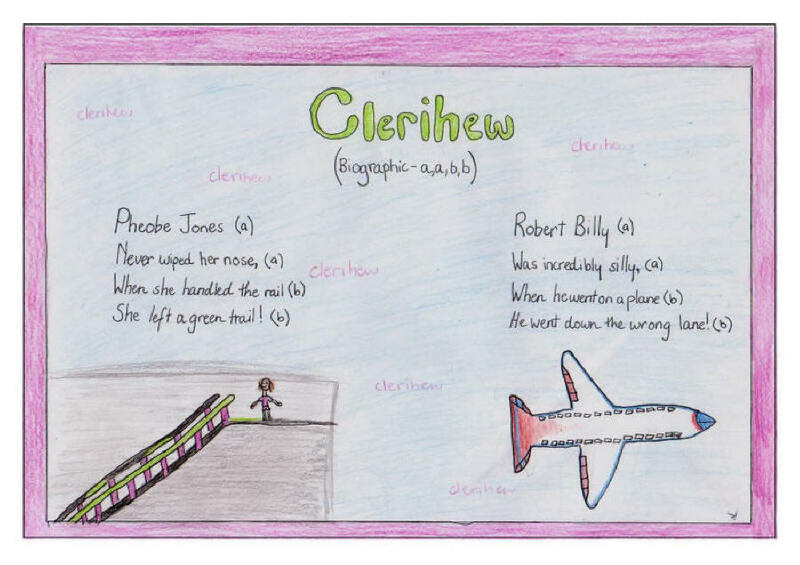 I think Clerihew poems are to try to ryhme your feelings. So, it is a tricky kind of thing. I like your poem its wonderful perfection and direction! What a fun activity! I can’t wait to see all of the Clerihews. Time to rhyme! Yes. I’m pretty excited too. Yesterday, this was a wonderful lesson and I would like to share and receive pictures of creative work students have done.